In the last week of October we teamed up with some of our friends for a wedding-inspired photoshoot. The theme: A fashion-forward bride. The weather: blissfully balmy. Coral Stella McCartney amongst the peonies. We were thrilled to be on site at Thomas Hobbs Southlands Nursery. 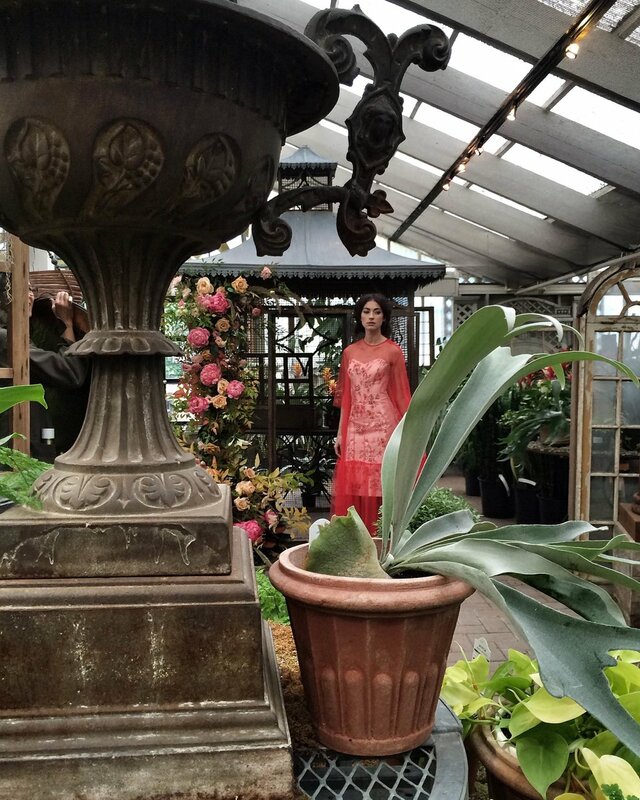 Gorgeous greenhouses, a plethora of European antiques and masses and masses of botanicals provided the ideal backdrop for the shoot and with a miraculously dry day we were able to take advantage of the stately grounds as well. Steering away from traditional froth and standard white, Boboli arranged a wardrobe to complement the superb floral designs by Jessica Clark, owner of Quince Fine Florals. Pinned into gowns by Valentino and Blumarine, our model Bree was surrounded by blushing peonies, ripe persimmons and parchment coloured roses. Table-scapes were peppered with figs, flowers and coordinating cakes provided by Butter Baked Goods' Rosie Daykin whose daughter India; proprietress of India Rose Cosmeticary applied Bree with striking lips and lashes. 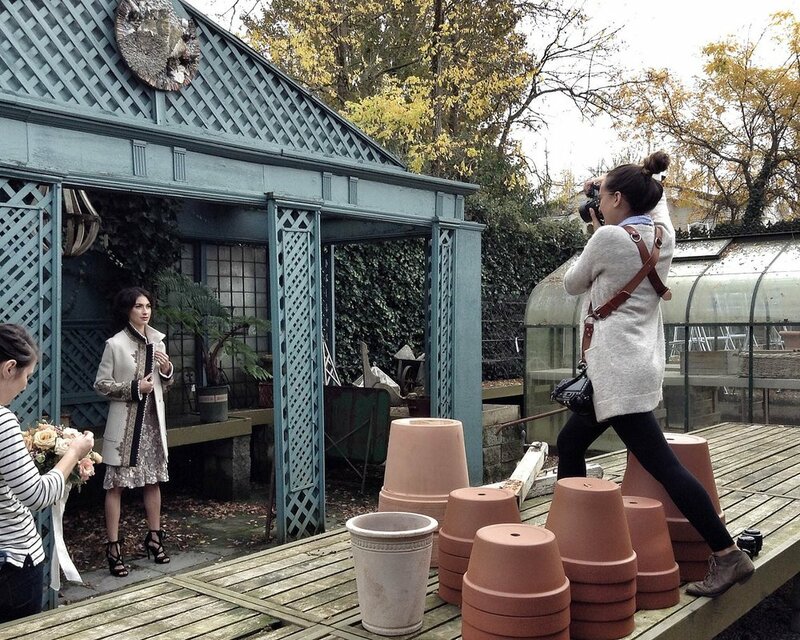 Sara photographs Bree in starry Valentino. Fit to be tied - Valentino ballet inspired heels. 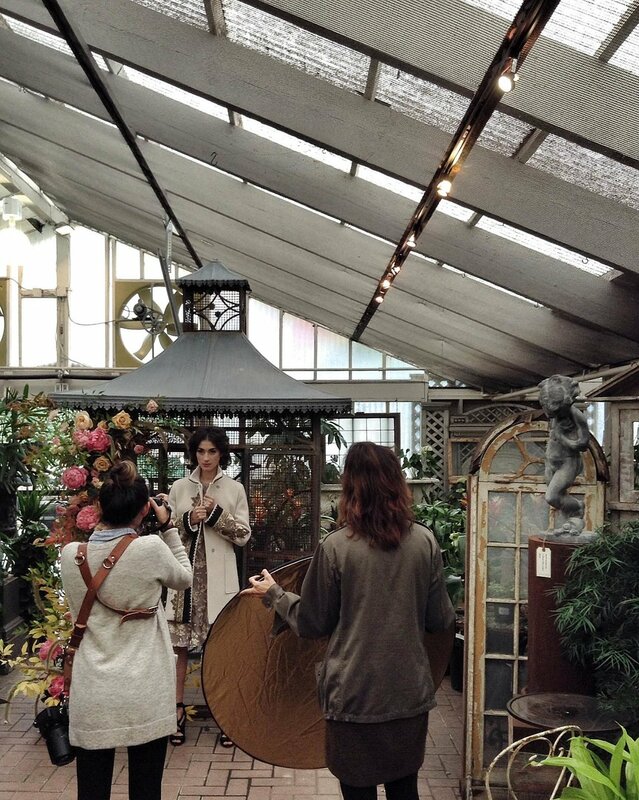 Photographer Sara Rogers, maneuvered amongst flower pots and fountains to capture the perfect shot(s), while hair stylist slash photography assistant Amanda Gangoso primped and 'propped' as needed. 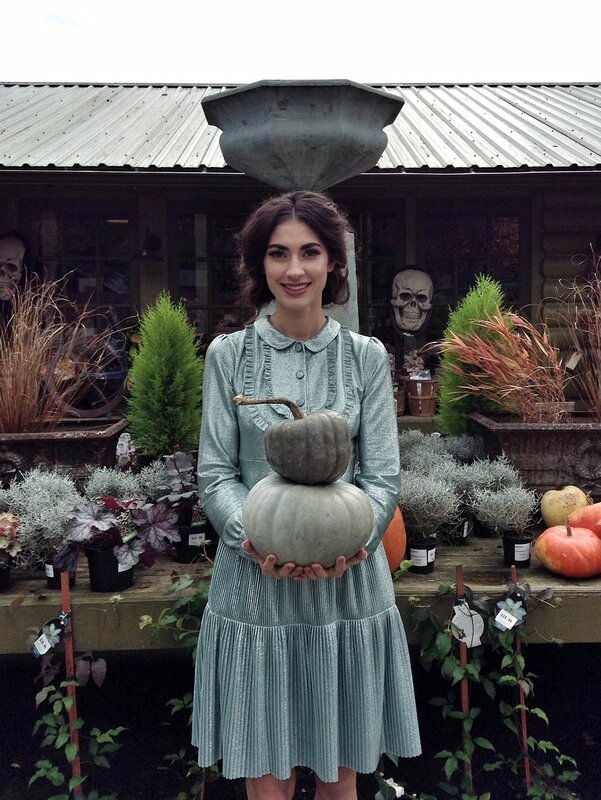 Outside, our model held a bouquet bursting with ranunculus and rowan berries. Inside, wearing coral Stella McCartney Bree was elegantly positioned amongst a waterfall of foliage cascading down an impressive antique birdcage (fit to hold the likes of an ostrich). With a string of torrentially rainy days behind us and a forecast just as bleak we enjoyed a hurricane none-the-less as location, flowers, photography and styling came together in a perfect storm.